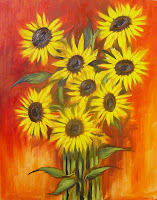 Tomorrow I should be finishing the commissioned piece, which is a landscape in Hawaii. 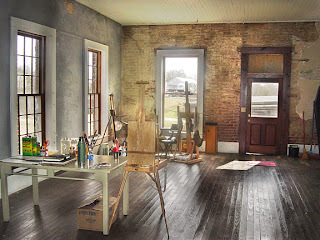 Then I am excited to start work on two other larger works; one 24"×48", and the other 36"×48". 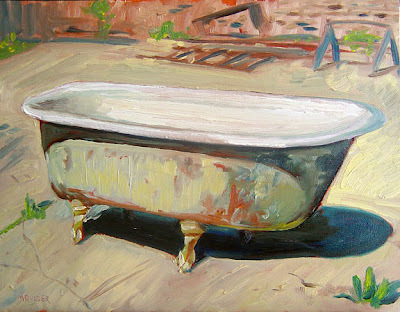 In between working on these studio pieces, I will be sketching outdoors as weather permits. 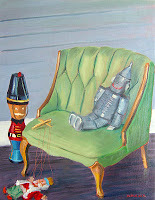 I also started a commissioned painting and finished another fun little painting of toys on a chair. 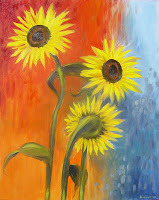 Here are photos of the three sunflower paintings. 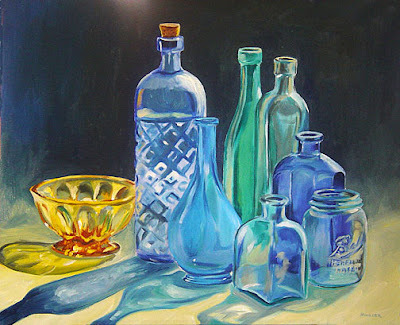 I worked this weekend painting a still life of blue bottles in the sun. I am still getting situated, so I wound up with only a few hours of working time before the sun started shifting the colors. 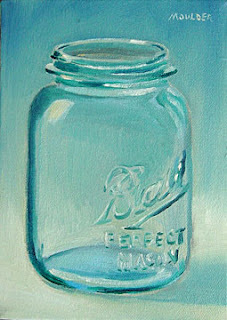 This will be a slightly larger painting than the others I have done since January. 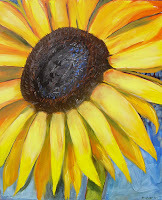 I am looking forward to the spring and painting some outdoors where light isn't such an issue. 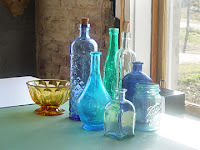 I finally took photographs of my studio space and have posted them here and below.